Private beach, expansive balcony, bbq area, well stocked kitchen with small pantry to buy basic local products and tons of common space. 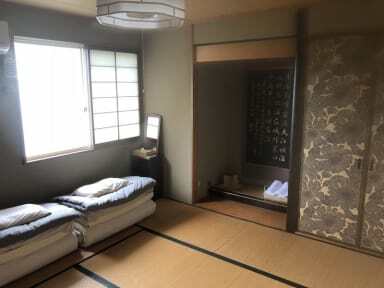 Private Japanese style room with memory foam mattresses, ocean views and organic cotton cover; perfect for families. 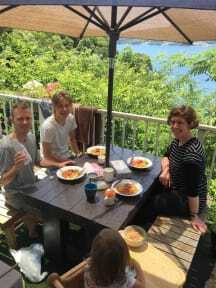 We have information on hikes, cultural excursions, the art islands of Naoshima, Teshima, culinary adventures, etc. Thing to Note: ‐We are located in the forest, near the sea, so there are all types of crawlers and flyers, if you are at all squeamish about bugs, crabs, cute lizards or butterfly our guesthouse might not be the best fit for you.